Please call our reservations team or use the contact form. Opening hours: Monday – Sunday from 8.00 – 00.00. The restaurant’s interior can accommodate up to 30 guests for a private, seated dinner or 40 guests for standing drinks and canapés. 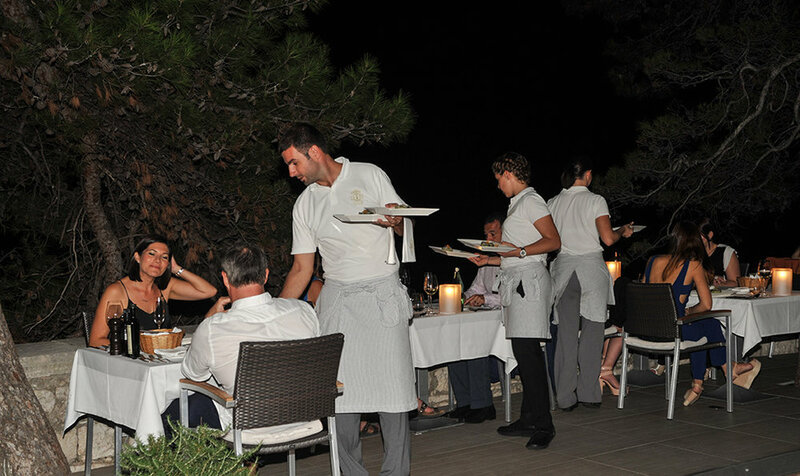 Once a sea-front medieval cottage, the restaurant has been renovated to take advantage of the magnificent views across the Pelješac channel and the Korčula archipelago. A Private Dining Room for a special occasion or a private dining experience! A reconstructed 18th century kitchen in our Palace is a perfect spot for hosting up to 10 people in purely private atmosphere. Private suites at Lešić Dimitri Palace can also be hired for special occasions. For more information on Wine Tasting and Chef’s Table reservations, please contact us.